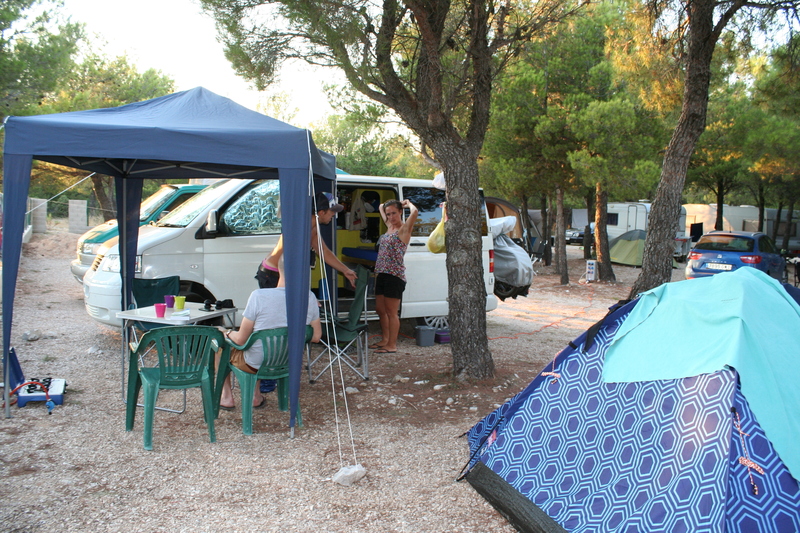 Camping Croatia | Information...Super, Flyaway! I had been intrigued by Croatia for several years and was getting increasingly jealous of the people who were jetting off on holiday there. 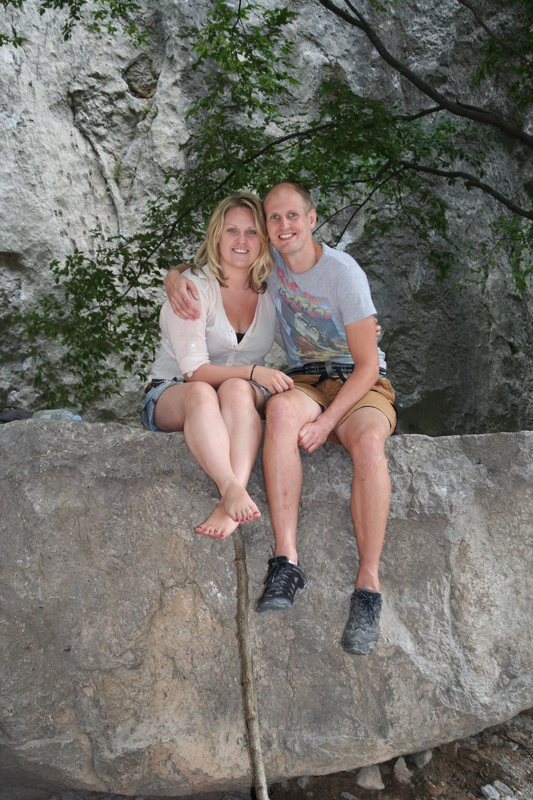 Martin (my other half) and I decided that this summer (2013) we would make Croatia our own! 3. to be as active as possible! 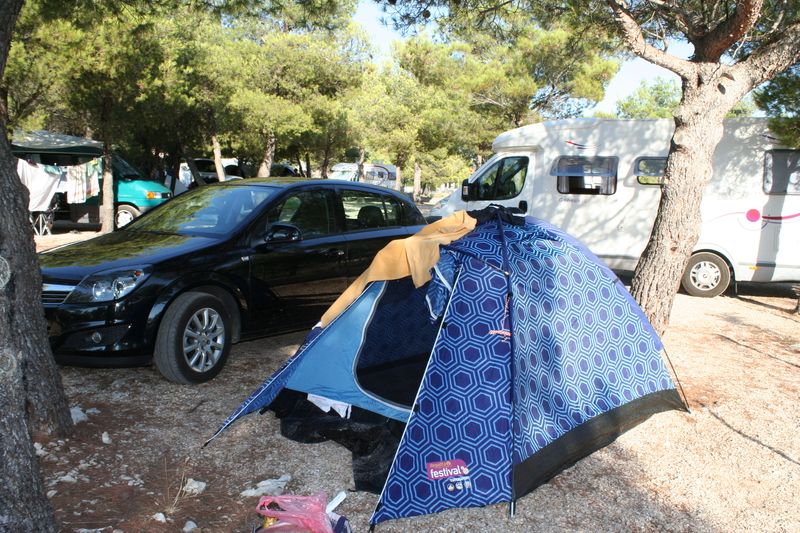 In order to meet objectives 1 and 2 (and a little of 3) we decided to make our holiday a camping trip. We were flying with low-budget airline Easy Jet and had to pay for hold luggage, so we paid for one bag and stuffed it with a 2-man festival tent, a rather large air bed, a foot pump, sleeping bags, pillows and a sheet. We packed two small cabin-luggage cases with our necessities and off we went! We were flying from London into Zadar, a city in the northern region of the dalmatian coast – this alone saved us some serious cash, as the most expensive flights in August were from the UK to Croatian cities like Split and Dubrovnik. 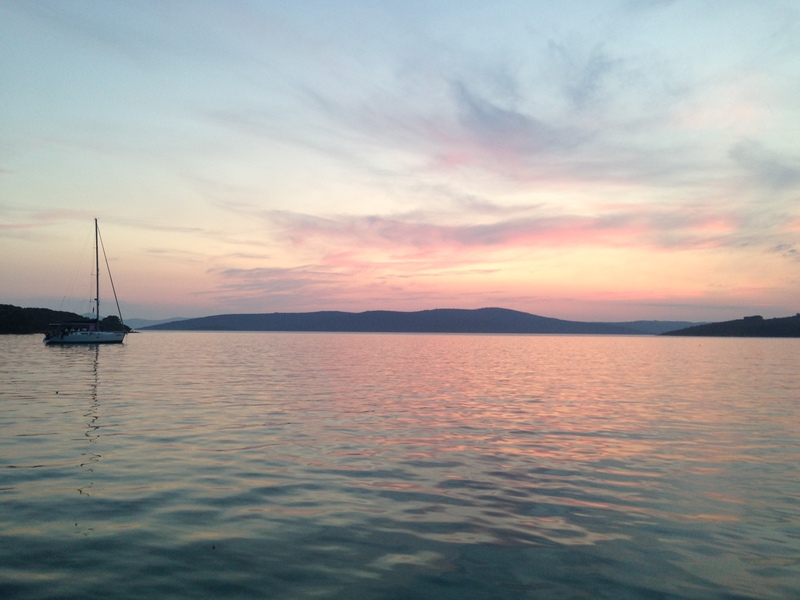 But Zadar shouldn’t be overlooked (I will be writing a separate blog post about this beautiful city). At the airport we picked up our rental car (booked in advance) and headed straight out of town, aiming south. 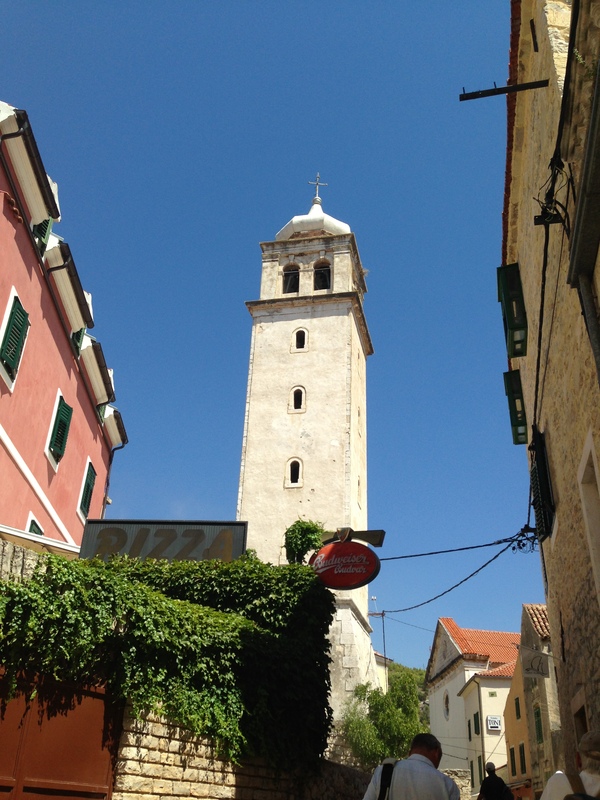 A short hour and a half later and we were just outside of the Krka National Park in a small town called Skradin. 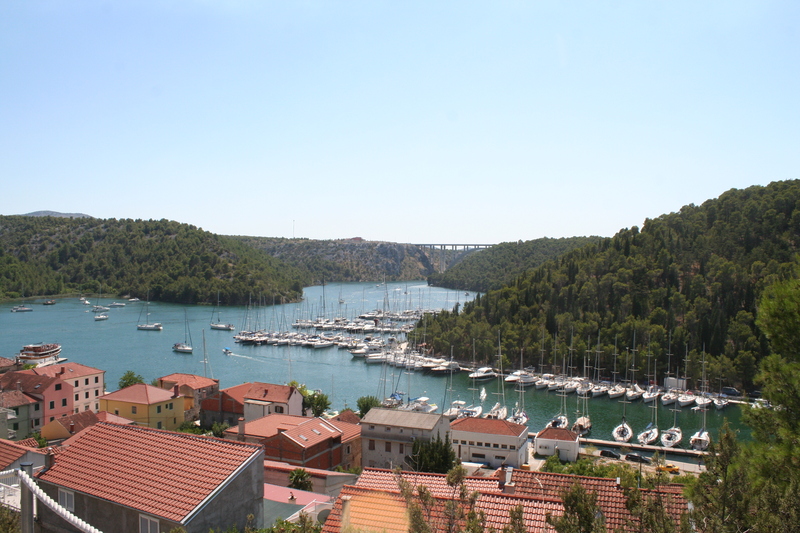 Built next to the Krka River, Skradin is a small harbour town that serves as the main touch point for visitors to the national park. 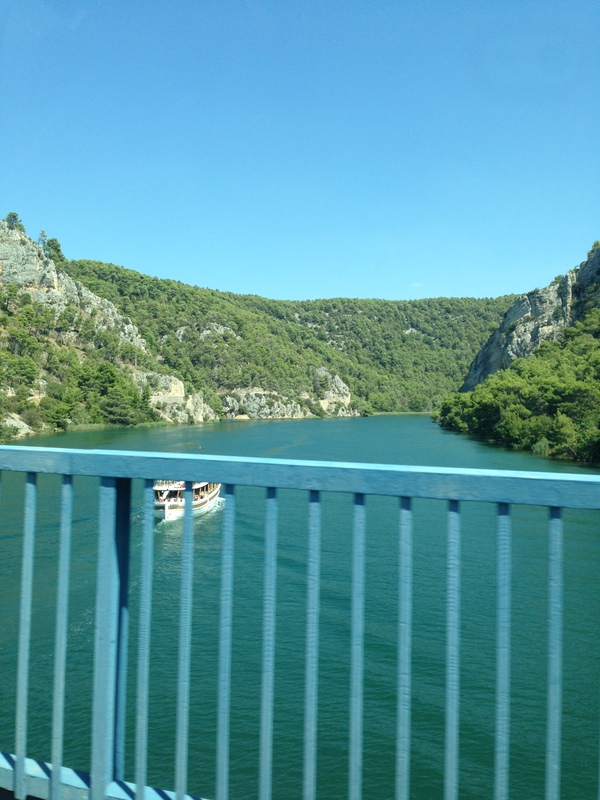 Having researched camp sites in advance, we followed a mountain road south out of Skradin over the mouth of the river and up onto a hillside where we stopped at Camping Krka. 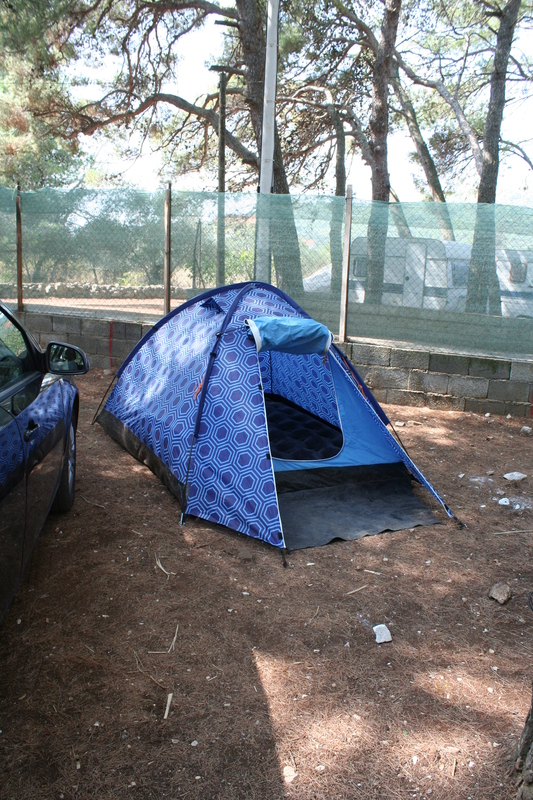 Camp sites in Croatia tended to have very good facilities in general, with good showers and toilets. Most of the sites consist of simple rocky ground but they are situated underneath wide-spread pine trees, which provide lots of much-needed shade. 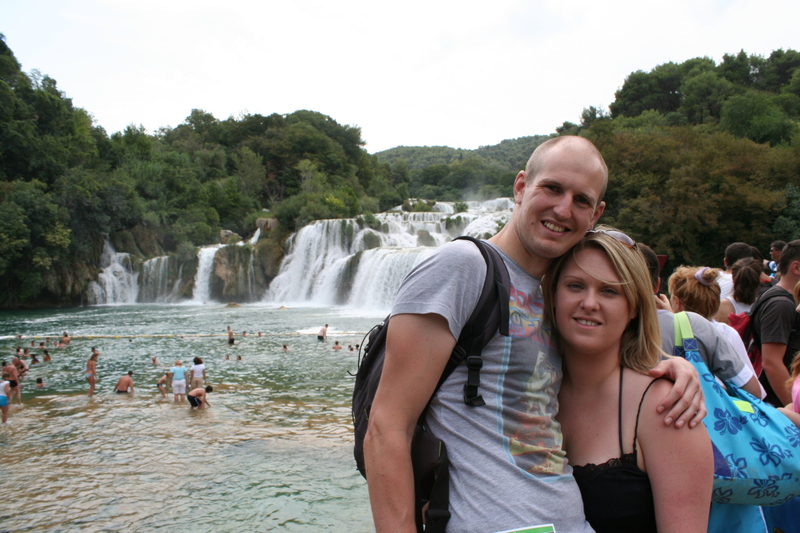 My sister and her husband were touring through Montenegro and Croatia in their camper van so they came to meet us to tour the Krka park. 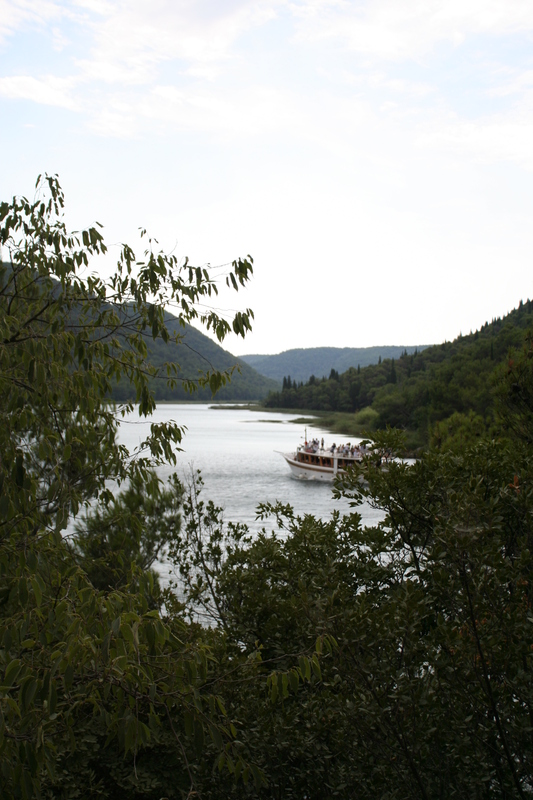 There are two ways that you can access the park – you can queue with roughly 200 other tourists and pay to board a boat which sails up-stream to the park and its famous waterfalls – or you can walk the 4km journey like we did! 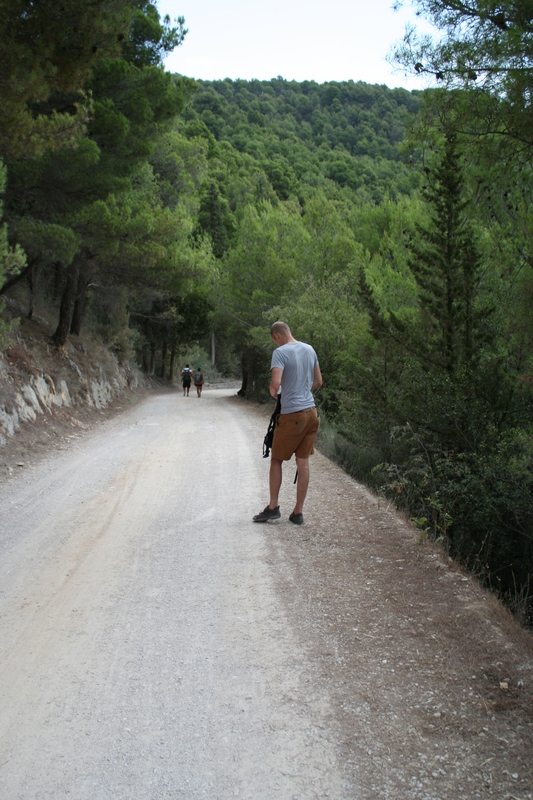 The walk was extremely easy, no up-hill climbing required, and only took an hour. The road is pretty dusty but the views of the rocky terrain and gorgeous blue river is a fantastically distracting sight. 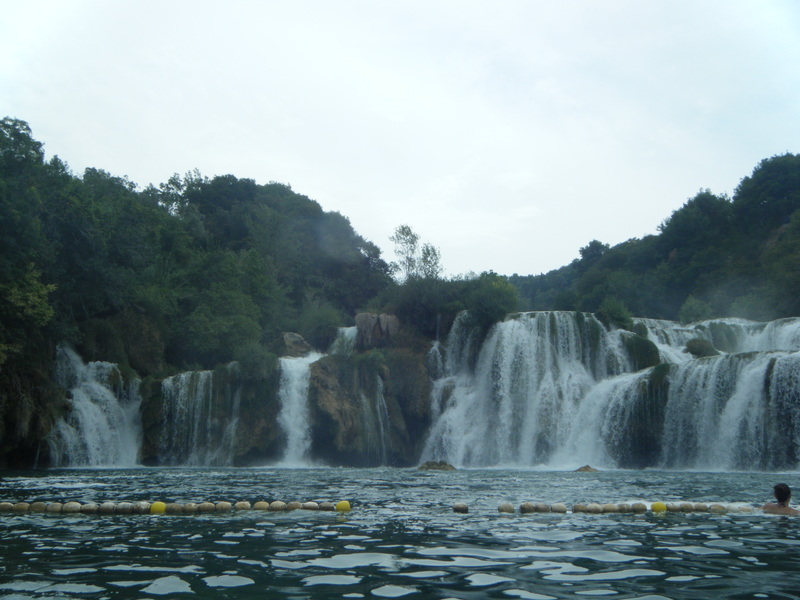 The park costs 90 Kuna (roughly £10) to enter and consists of hundreds of waterfalls that you can both hike up and swim in. The whole park area is beautiful, with wooden walkways and stone stepping paths through the trees and around the falls. 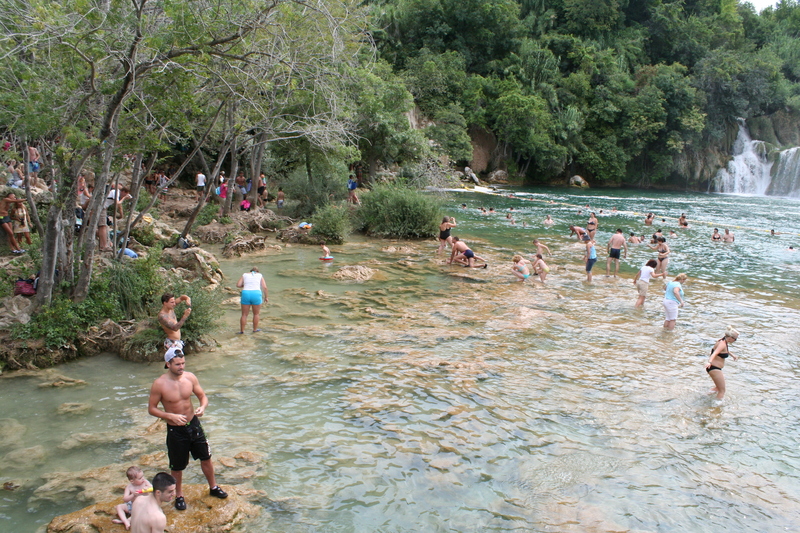 It is a real novelty to be able to swim in a waterfall – but we were kind of disappointed that the park was so crowded. If you aren’t a fan of touristy ventures, you might not enjoy queuing with hundreds of others to simply cross bridges or find a space of water to swim in! But when you’re in the cool water, watching the falls and swimming around you may just forget about the other people (maybe). 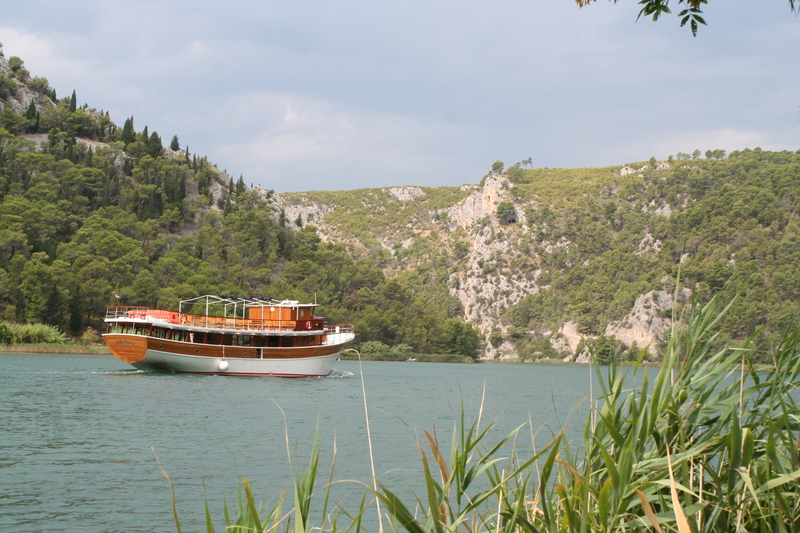 After a few days in Krka we decided to move back to the coast and drove 25 minutes down to Murter Island. From here you can get tour boats out to the Kornati Islands national park (you can start to see a theme with Croatia – everywhere is so beautiful that it’s a national park!). Just over the connecting bridge between the mainland and Murter island, we passed a small cove which had an inflatable water park anchored just off the shore. This was the scene of one of the most fun hours of the whole trip! 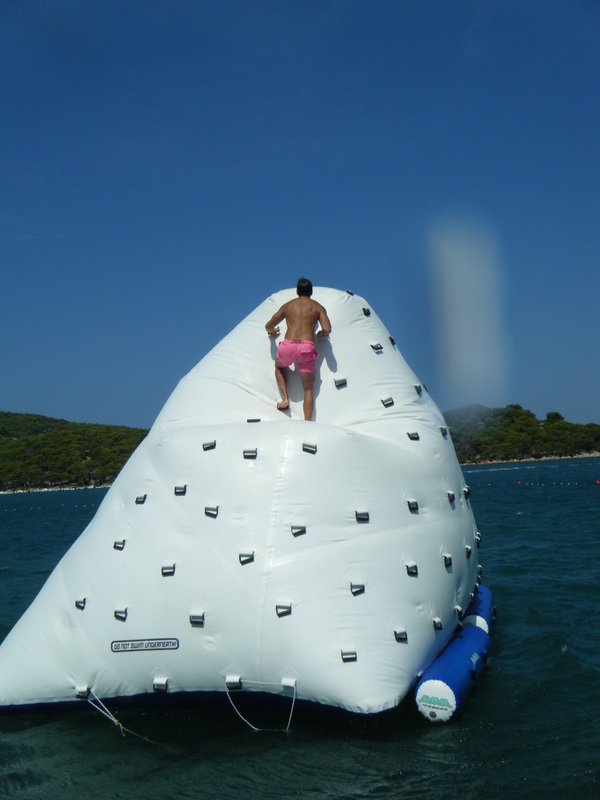 There were two massive trampolines which were attached by an inflatable bridge, a huge ‘iceberg’ climbing wall and a catapult bag. We were lucky enough to have this to ourselves for the hour and we made full use, reverting back to 8-year olds. That night we stayed in a camp site in a bay called Kosirina – the water there was crystal clear, like the Caribbean…but freezing cold! Some sunbathing on the huge boulders surrounding the shoreline soon warmed us up. 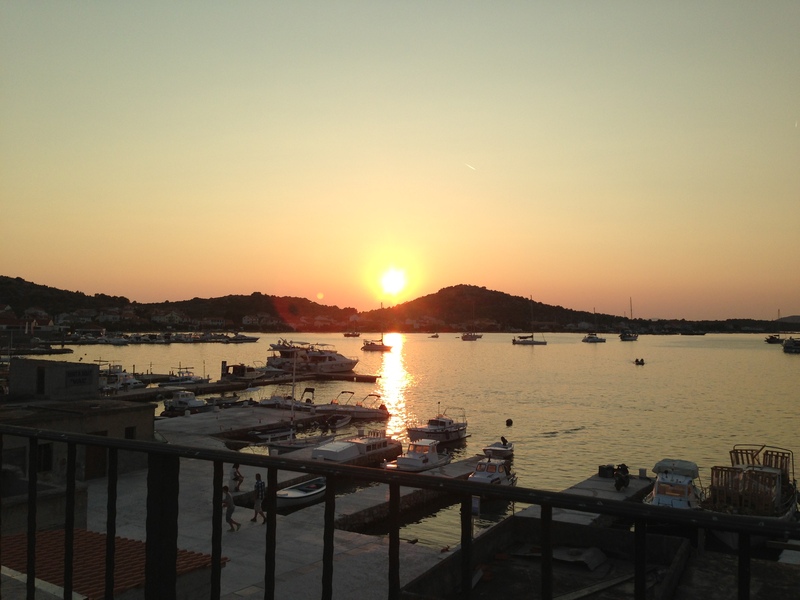 We had dinner in Murter town that night, at a small restaurant with a roof terrace overlooking the water and watched the sunset over scrumptious pizzas and Croatian beers. Leaving Murter we drove back onto the mainland coast along to Biograd na Moru where we caught the first ferry leaving the port for Pasman Island. 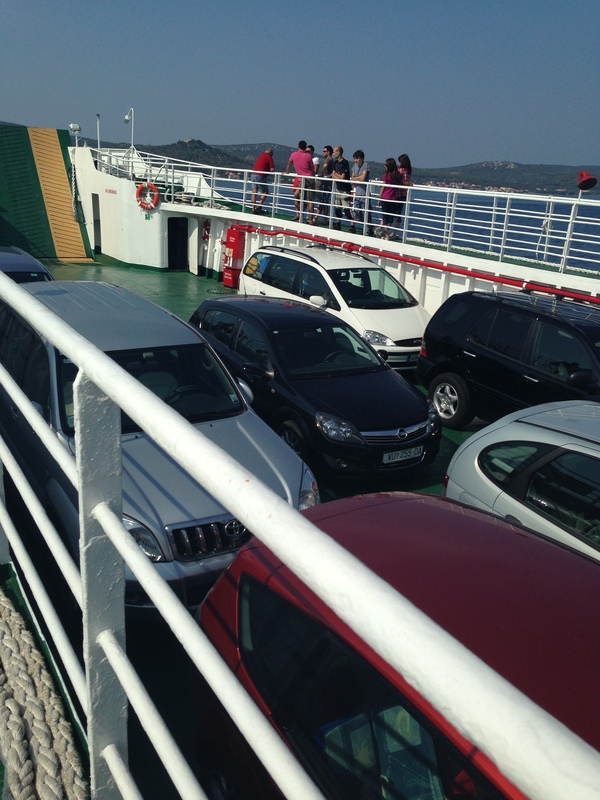 Luckily there was a ferry departing right that moment so we bought our tickets from the booth and drove on-board. 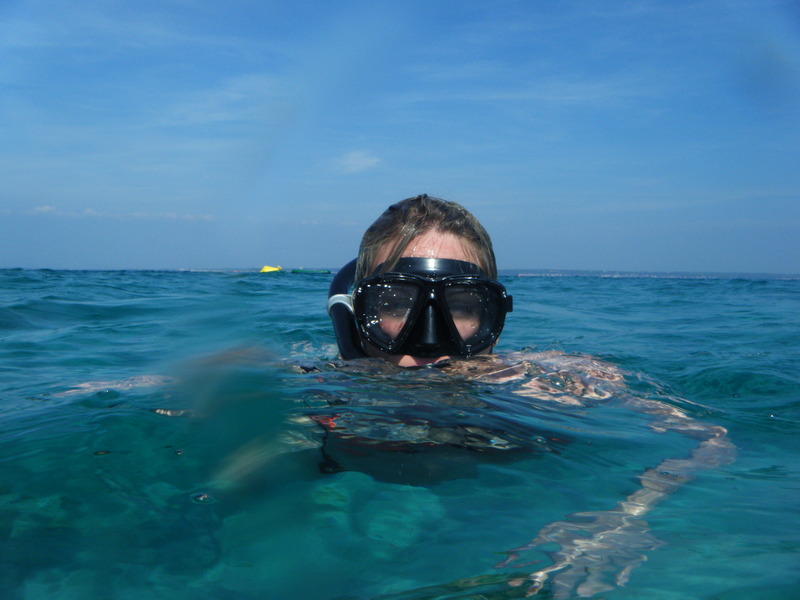 The journey across to the island was simply stunning – the water was smooth as glass and there were sailing boats on the horizon. Our car, snug in the centre! We arrived on the island and drove out of town on the only main road on the island. You honestly can’t go wrong with directions – to reach the coast, you simply take a right off the main road and drive down to the shore! The whole island is only 15-18 km long so you won’t be required to do any great distances. 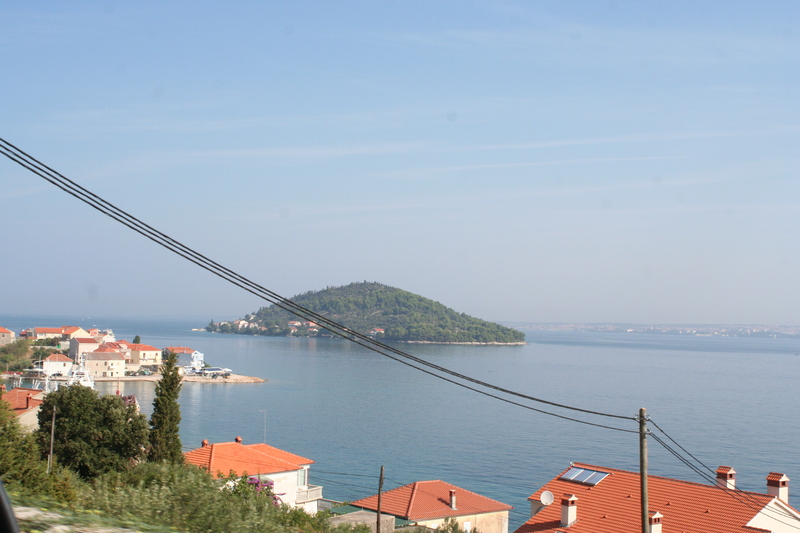 Again we had researched the island and found a nice-sounding campsite, about 10 km from the ferry port in a little town called Groblje. If you want picturesque, you’re looking in the right place here. 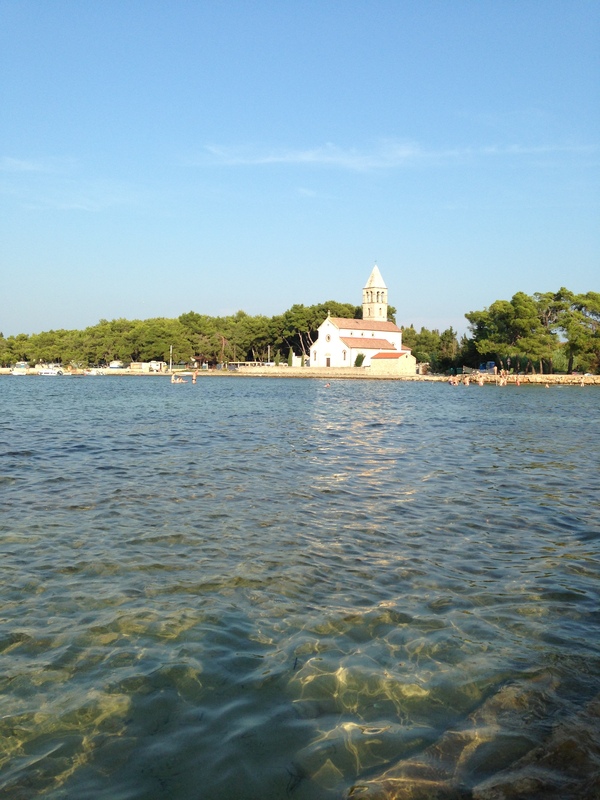 There is a beautiful stone church built next to a shallow cove, with the most gorgeous aqua water. And this is where our camp site was found, right next to the cove. However if you like to sleep in, maybe don’t stay here, as the church bells start tolling at 6am! We went out to eat in the evening at one of the two restaurants on the waterfront. When I called it a town earlier, I was maybe being over-generous – the whole place consisted of one small convenience store, two restaurants, a post office and (strangely) a tourist office! The restaurant was really busy with people from the rental apartments that are dotted around and the food was beautiful – the best calamari I have ever had! From there we left the island of Pasman and drove on up to the main port town of Preko on Ugljan Island. I was pleasantly surprised with how pretty this town was, considering how most port towns are kind of industrial looking. Preko had a lovely walkway along the waterfront which had various canopy-covered outdoor seating areas for restaurants and cafes. There is a small island with what looked to be a private residence on it just 100 meters out in the sea and people were swimming across to it and boats were sailing out and back. We stayed for the morning and had breakfast before proceeding on to the north-west of the island where we planned to stay at a camp site in the harbour village of Muline. There were 2 camp sites in the village, situated right next to each other – I have forgotten what both of these camp sites were called, and I can’t find much information about them online. 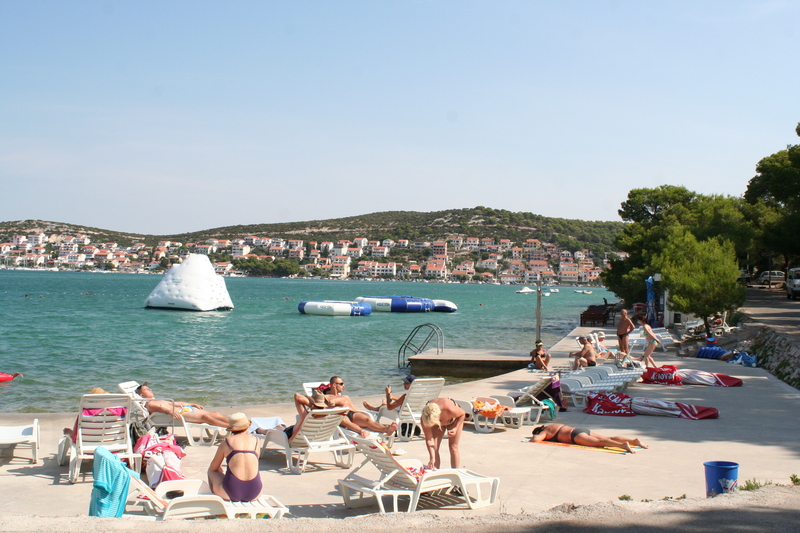 However this is what its like in Croatia and the smaller islands – they rely on passing trade or people who stay the whole summer every year. It’s actually charming to be somewhere so quaint and un-digital! 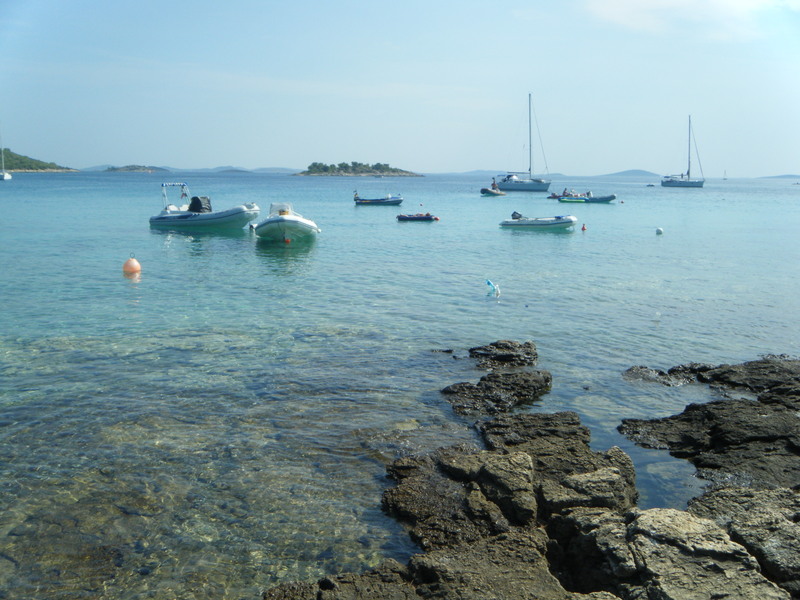 During the day we walked along the coastline and sunbathed on the rocks, swimming out to a pontoon. 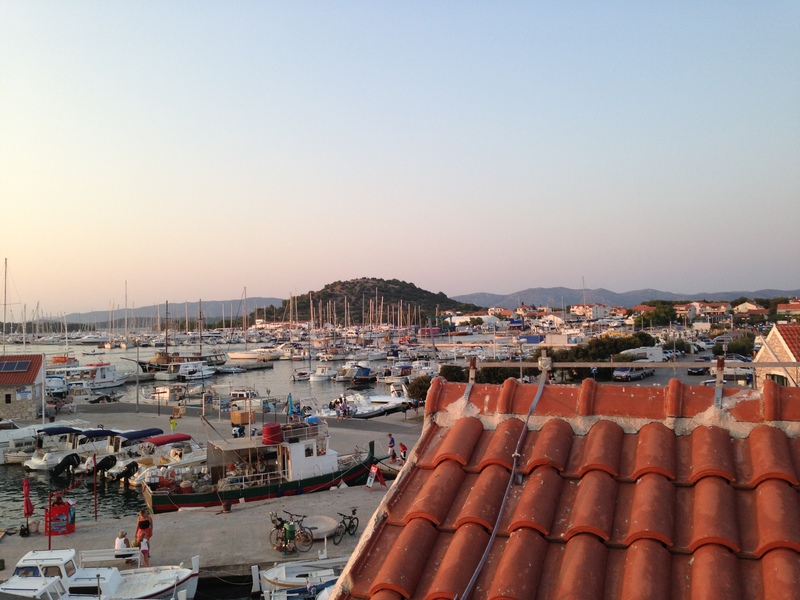 In the evening we drove to the village and had a cold beer on the jetty as the sun was setting. There was a slight ripple on the water and islands in the background, with beautiful pinks and blues in the sky and reflecting off the water. The pictures really don’t do it the full justice. 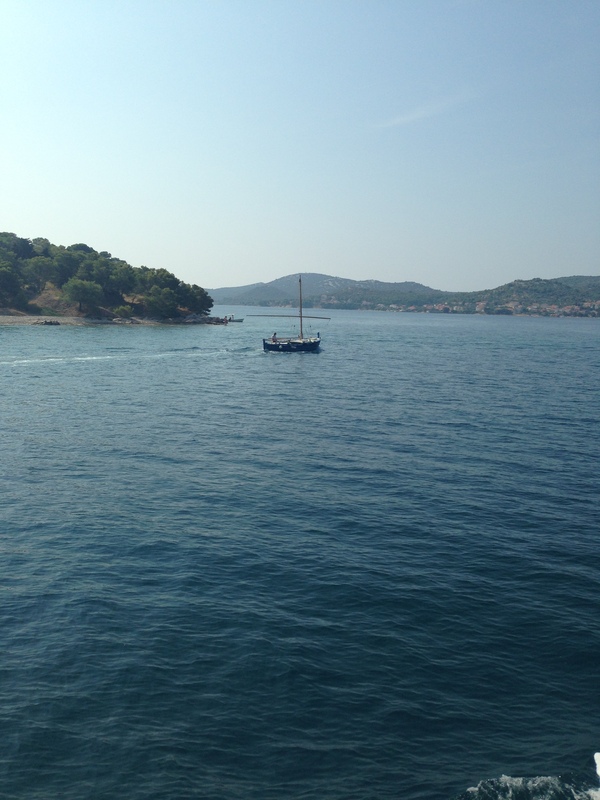 We travelled back down to Preko and got the ferry over to the mainland again, pulling into the main port in Zadar. This is a bustling and busy port with many tourist boats of all sizes coming and going. Getting the boat from the ferry out through the traffic and people was pretty hair-raising at times, but we managed to find the main road out of town. 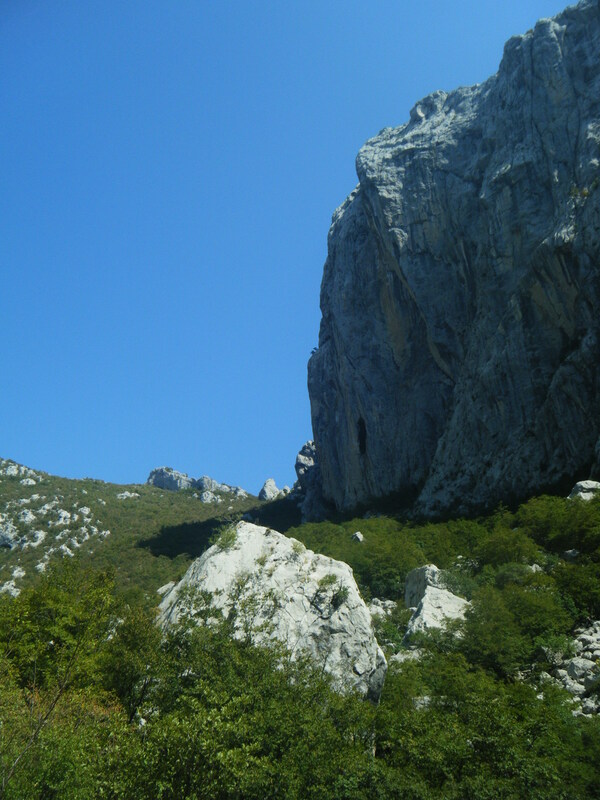 We headed up north to the Paklenica National Park, which was a complete change of scenery to the other parks we had seen. The area was completely mountainous, with huge craggy crevices running deep into the mountainside. It was here that we set up for several days to do some mountain-climbing. 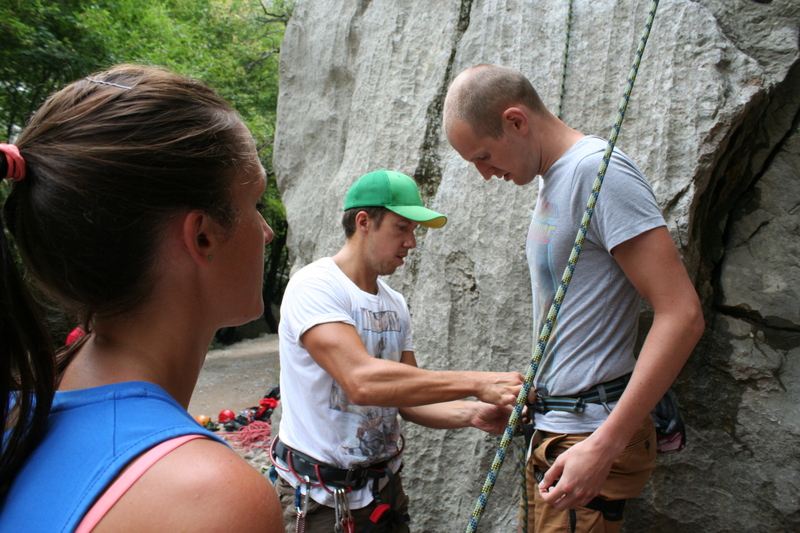 My sister and her husband are qualified climbers and were able to teach us some new skills. 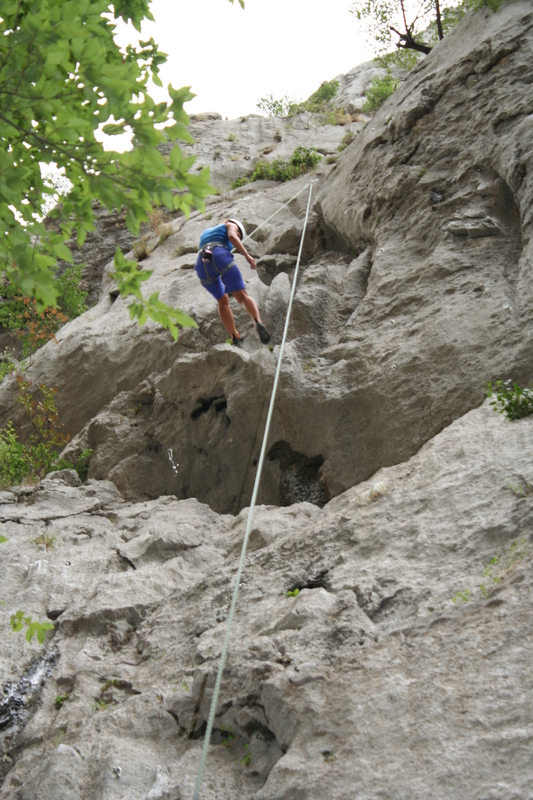 There are a number of places in town to rent equipment from (climbing shoes, harnesses, etc.) and you can buy a pass for 50 Kuna that allowed us re-entry for 3 days. The climbing area was very well-equipped and sometimes it was just amazing to sit and watch some of the more experienced climbers scaling the walls as quick as spiders. Beware of the weather in this part of the country, as it can be unpredictable. We experienced a very strong rain storm with lightning and thunder that lasted for 4-5 hours, before it cleared completely and we were climbing again that same afternoon. It is extremely cheap – we only paid between 11-14 Euro a night to camp for the both of us. My sister and her husband paid up to 5 Euro extra for electric hook up for their campervan, but it still works out to be an amazingly cost-effective way to see a lot of the country. It isn’t as hot as you think! 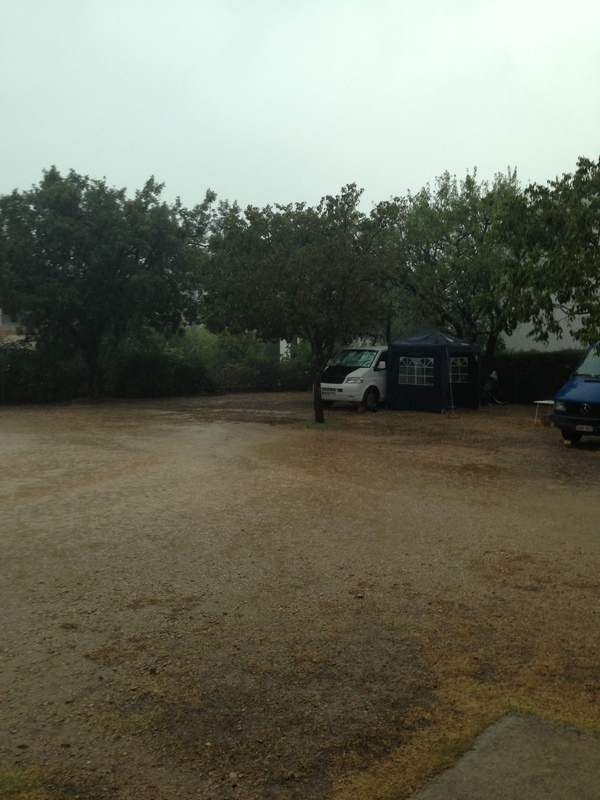 – I was under the impression that we might die of heat exhaustion in our tent in a hot country like Croatia in August. But we were pleasantly surprised with how comfortable we were. You won’t need much more than a thin sheet for cover, but it’s worth taking a sleeping bag in case you experience some adverse weather (like in the Paklenica region). You see so much more! – Not being tied down to a hotel meant we could pack up our car within 20 minutes and be on the road to the next destination. We weren’t made to stay anywhere we didn’t like and could move as the mood took us. Teaches you to travel light! 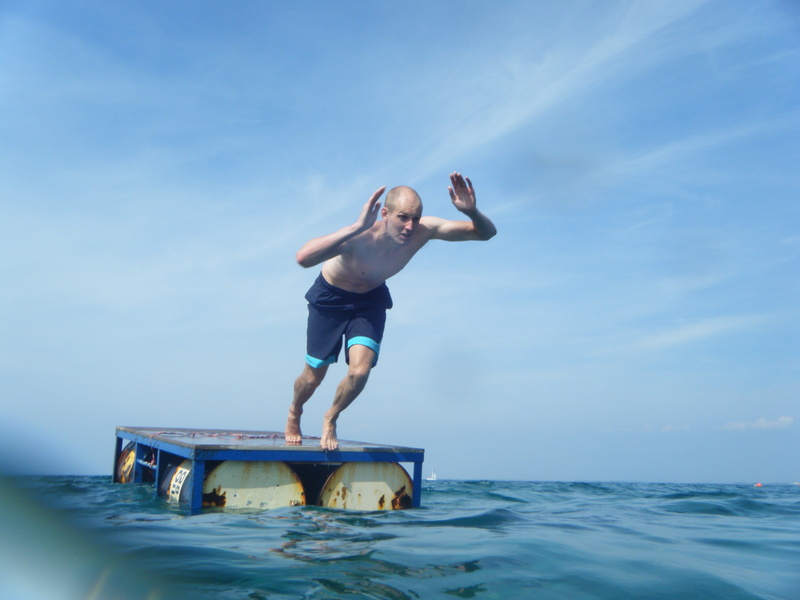 – My favourite topic is how to travel light and not weigh yourself down the unnecessary. You certainly learn this if you are camping abroad, as you have your camping equipment to lug around, without the need to lug extra belongings! Would you consider camping on holiday? 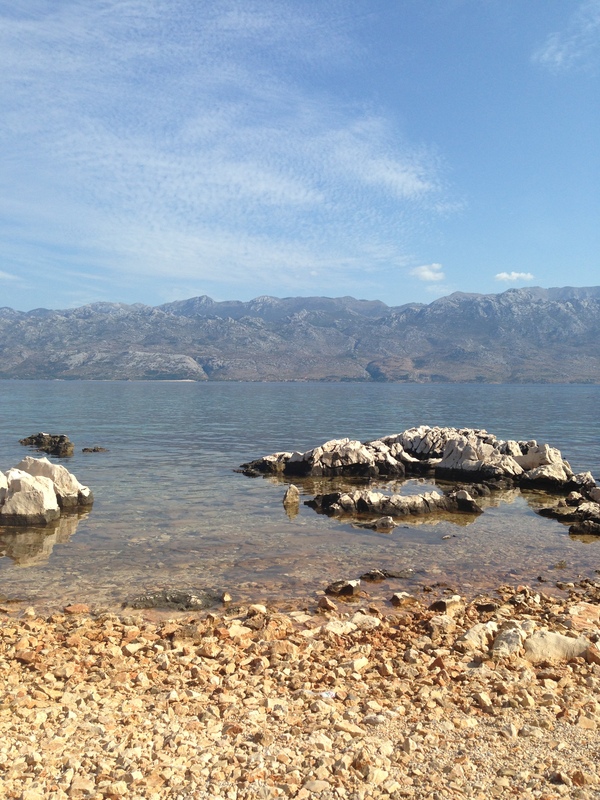 Have you travelled to any of these places in Croatia? ← Missed Oktoberfest 2013? Try for 2014!